Venezuelan model the same age as Jennifer Lopez's new man. Singer Marc Anthony has a new flame. 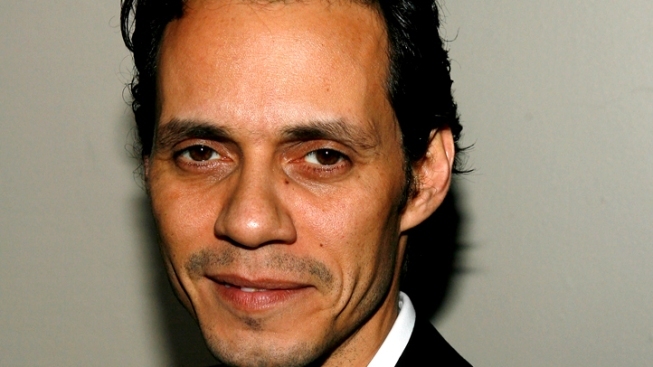 Marc Anthony apparently has a new lady in his life. On Wednesday, both Us Weekly and Radar Online reported the singer is romancing Shannon de Lima, a Venezuelan model, who like Jennifer Lopez's new man, Casper Smart, is 24. The singer himself Tweeted to the leggy lady on Tuesday, writing, "To Shannon, my statue of Liberty. Kisses baby," in Spanish. He also posted a photo on his Facebook page of himself, embracing and kissing the model. Click HERE to see the photo. Shannon was a runner up for Miss Earth Venezuela in 2005, but she isn't the only model Marc has been linked to in recent weeks. In December, Life & Style reported the 43-year-old hit a Miami Dolphins game with Adriana Ontiveros, 28. However, adding fuel to the rumors Marc is involved with Shannon? On Tuesday, Marc reTweeted a message from Chase Muniz, his adopted son, calling the two a "couple." "To all my followers and everybody on twitter follow 2012 best couple and for many more years to come @MarcAnthony and @Shadelima !!!!!" Chase Tweeted. Marc also reTweeted Chase's message, "@Shadelima and. @MarcAnthony sounds sooo right what yah think??!!! sounds perfect to me." PLAY IT NOW: Are Arnold Schwarzenegger & Maria Shriver Reconciling?